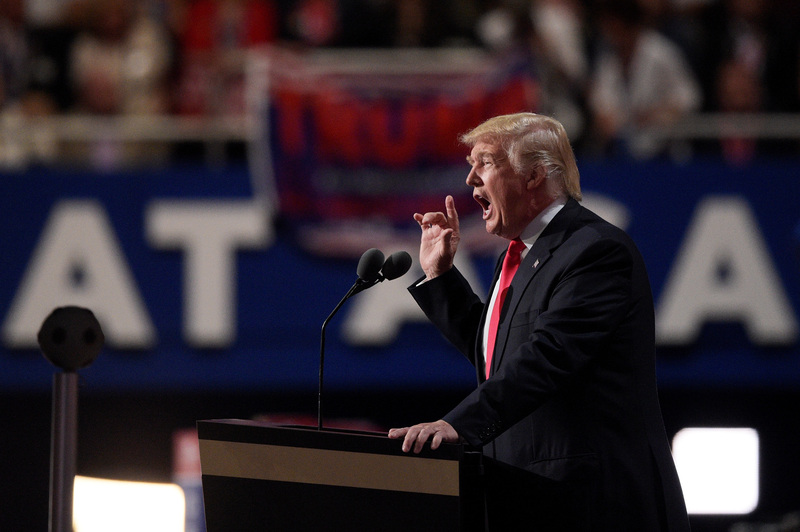 Presidential nominee Donald Trump opened his speech at the Republican National Convention Thursday night with a focus on violence: violence at home, violence overseas, and violence in America's largest cities and communities. It was, truthfully, a smart opener for Trump, who's been hinging much of his blustery campaign on militarizing America and promising stronger protections from undocumented citizens, terrorists and foreign-born fighters. But Trump added a new facet to his violence narrative: homicides. Trump alleged that homicides were rising in America, but is he right? Let's fact check the GOP nominee. Decades of progress made in bringing down crime are now being reversed by this Administration's rollback of criminal enforcement. Homicides last year increased by 17 percent in America's 50 largest cities. That's the largest increase in 25 years. So, is this true? According to PolitiFact, Trump's claim about homicides significantly increasing is half true. It appears Trump took this data from a Washington Post article published on the newspaper's Wonkblog in January 2016. After reviewing crime data from major cities, the Wonkblog found that the number of homicides indeed rose by 17 percent in America's 50 largest cities between 2014 and 2015. That number was the greatest increase since 1990, so Trump is also right on that account. However, Wonkblog also pointed out that all this data may not be exact. Wonkblog writers pointed readers to a recent FBI report with crime statistics for 2015; that report found that homicides only increased by 1.7 percent nationwide for the first half of 2015. In cities with populations from 50,000 to 99,999 inhabitants, violent crime was down 0.3 percent, and in cities with 500,000 to 999,999 in population, violent crime decreased 0.1 percent. The largest increase in violent crime, 5.3 percent, was noted in cities with 250,000 to 499,999 in population. The preliminary FBI report also stated: "Violent crime decreased 3.3 percent in non-metropolitan counties but rose slightly, 0.1 percent, in metropolitan counties." So while violent crime and homicide rose in American cities in 2015, it's still tough to pinpoint just where and how much it increased. James Alan Fox, the interim director of the School of Criminology and Criminal Justice at Northeastern University, also told PolitiFact that it's faulty to trust homicide numbers from just a one-year period. "Ironically, some of the time when the numbers go up it may be because there was an unusually low number the previous year. A one-year change is not a reliable trend," Fox said. So, maybe Trump's 17 percent shouldn't be trusted after all.